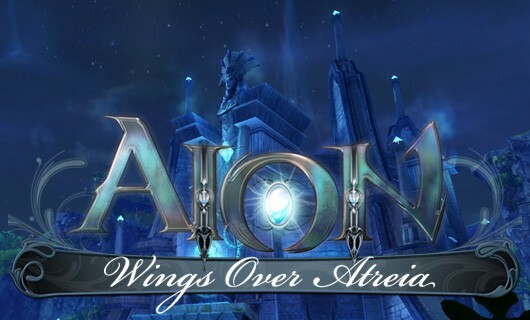 Wings Over Atreia Jumping on Aion’s limited time events and pumpkin carving contest! As much as I know you probably want an announcement about the release of Aion 4.5 and the long-awaited Aethertech class, I am afraid I can only offer a distraction. A few distractions, actually, in the form of various in-game events and a real-world contest. And these events are ending PDQ, so to take advantage of them, you need to jump in now. First off, this weekend only level 65s get a little incentive to dive into the Sauro Supply Base and and Ophidan Bridge dungeons. For all Daevas over level 21, there’s a Brax Cafe event (with free food and rewards) that closes up shop at maintenance on Wednesday the 23rd. And for any and all Aion fans out in the real world, NCsoft is holding a pumpkin-carving contest until Halloween with an in-game reward for winners. And I’ve got all the details right here! Without too much warning (as in, they told us just on Friday! ), NCsoft sent out the announcement that two of the new instances will be highlighted with a special deal this weekend. In an effort to encourage players to experience these dungeons, NCsoft is sending all level 65 players a survey on Saturday that grants a Sauro Supply Base time scroll and one on Sunday offering an Ophidan Bridge time scroll. However, the surveys will disappear if not claimed, so to get them, players must log in and complete the surveys; the Sauro Supply base survey is available until 12:59 a.m. EDT tonight, at which point the Ophidan bridge survey opens up at 1:00 a.m EDT Sunday and closes at 12:59 a.m. EDT Monday morning. These time scrolls will reset any lockout timer, allowing all players the chance to get back into the dungeon no matter when they last entered. 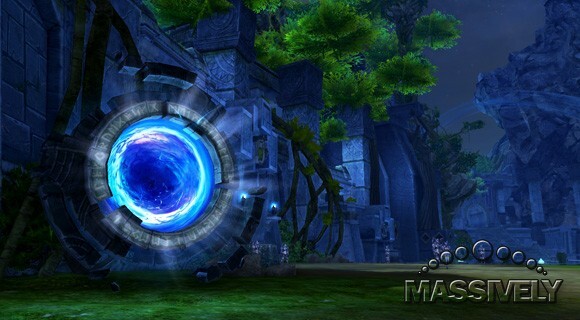 Additionally, new instance portals will be available in Katalam’s Danuar Spire and Kaisinel’s Beacon for the duration of the weekend to facilitate easy entry into the dungeons. Once players enter either instance, they will also receive another survey that grants the Daeva two Revival Stones and an Ailu Candy Sack to help them get through the experience. So grab some friends and take advantage of this opportunity while you can! 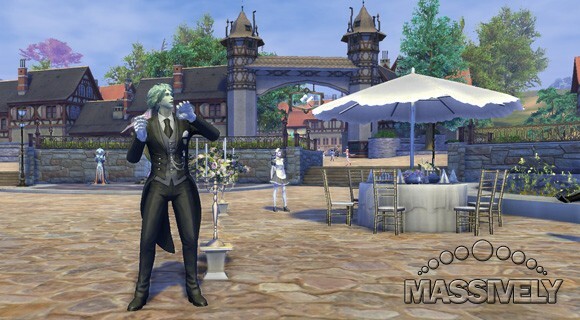 No matter your feelings on cash shops and the Black Cloud Marketplace, you have to admit that Aion offers players plenty of ways to get different goodies in the game itself through events. In fact, you can’t take a jog throughout Atreia without tripping over an event nowadays. And the current event is the Brax Cafe. If you haven’t had the chance to visit the little outdoor cafes located in Pernon and Oriel (the housing districts), you can still enjoy some of the treats before the cafe closes its figurative doors. To participate, talk to the Cafe promoter in either Sanctum or Pandaemonium; they stand out in their formal attire and maid costumes. Those promoters then send you to the housing district to a quaint little sidewalk cafe area to talk with the manager, who then sends you to the wait staff nearby. Just a couple of mouse clicks and you have both a Patron mark and a gift bundle that contains some morsel food that will give a buff. The quest resets daily at 10 a.m. EDT, so players can earn one Patron mark per day. These marks can be spent on a Brax Cafe General Goods Merchant or Brax Cafe Warehouse Manager (five marks each), formal staff attire (two marks), or a bundle of omelettes. Unfortunately, with the exception of the food, the rewards for patronage at the cafe are limited in time; the merchant and warehouse managers for your home will expire 30 days after they are placed, and the formal staff attire last only one day. If you prefer a permanent version of the outfits, they can be obtained by players over level 30 from the cash shop. Sadly, as much I was hoping to give you the scoop on this year’s Halloween-themed Harvest Revel festivities, that’s a no-go. 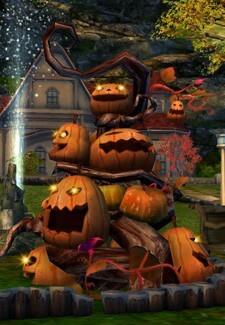 Since I really love Halloween, I wanted to frolic in the holiday spirit RIGHT NOW with you all, but Aion is making me wait for my in-game revelry. Luckily, it is providing me an out-of-game distraction during the wait. What’s one thing that you think of when you approach this holiday season? Besides candy. Pumpkins, of course! And now you can meld your live Halloween activities with your gaming by participating in Aion’s official Harvest Revel Pumpkin Carving Contest. For this, you need a pumpkin, a sharp object (safety first, here), a piece of paper, and a camera. Please note that the sharp cutting instrument is used only on the pumpkin, not the other items! Now all you need to do is actually carve the pumpkin with any kind of (appropriate) Aion theme and submit a picture to the contest. The paper is for a hand-written or computer-generated note that must be included in the picture with your carved masterpiece that reads “Happy Harvest Revel!” along with your character name and server. Entries must be submitted by 2:59 a.m. November 1st, 2013 — just shy of the stroke of midnight on All Hallow’s Eve for the West Coast folks. Out-of-game creativity and originality in representing Aion will net three top winners a permanent in-game pet that is not yet available to the public, a Harvest Saam. So grab your knife and carve away! Just be sure to check out the full contest rules to make sure your entry is valid.